measure a length of elastic for your waist and hold it together with a safety pin. 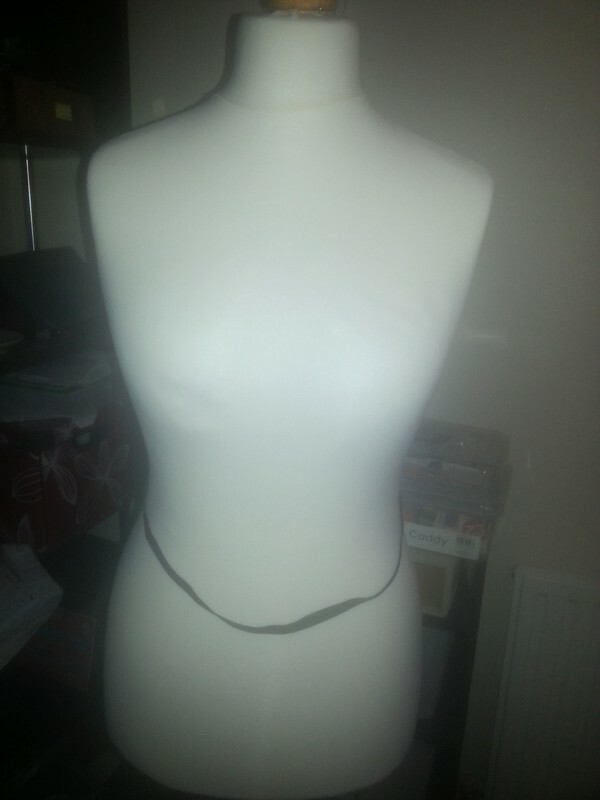 wrap another bit around your neck and join it to the safety pin around the waist. shorten it if needed to desired length. then stitch all four ends of the elastic within the safety pin together at the front and you're done! 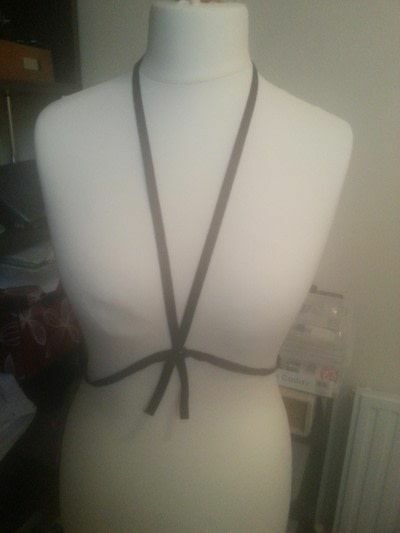 I might end up having to add more elastic to mine to make it show a bit more but it would be so easy to do.